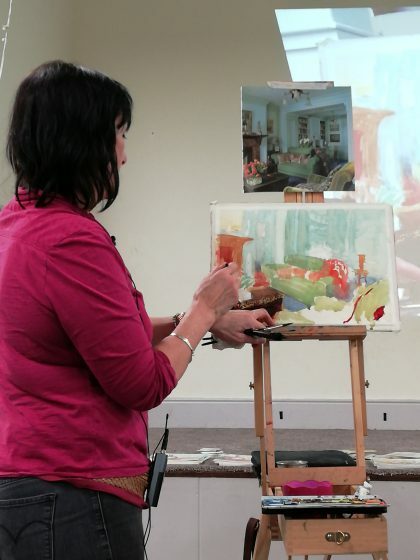 February’s meeting was a demonstration of interior painting in watercolour by Pauline Hazelwood. What a treat! 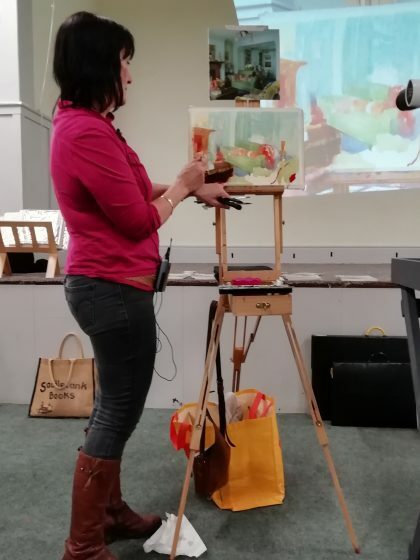 Pauline started with deciding on her palette which she kept to a minimum with raw sienna, yellow ochre, cadmium orange, cobalt turquoise, viridian and alizarin crimson. She sketched out the interior very lightly with a pencil, which she held at the end, as later she did her paintbrushes. Then to perhaps some astonishment she did a wash all over the paper with cadmium orange. As with other artists, bravery seems to be the key. Don’t panic even if you make a mistake – nothing is undoable! Working across the whole canvas, Pauline then added colour using all of her paintbrush, rolling it and using the edge. She added colour wherever she saw it and so worked across the whole thing all the time. She used separate paintbrushes for each colour to save washing them all the time and kept one for plain water to lift out paint, which she also did with a tissue. pauline told us that she might do as many as 20 sketches while working our her composition and colours. So the finished piece below is remarkable in less than 2 hours. 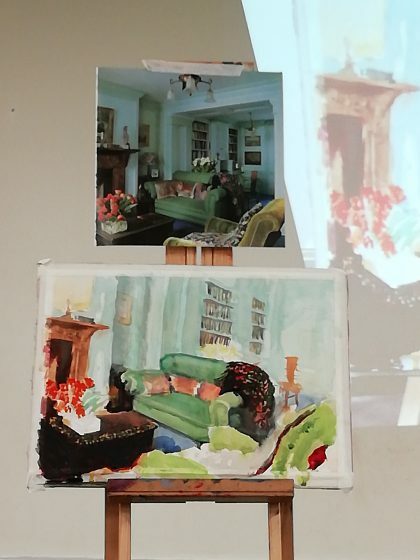 The end of the evening, the painting, reference photo and the screen showing the detail. Thank you Pauline. 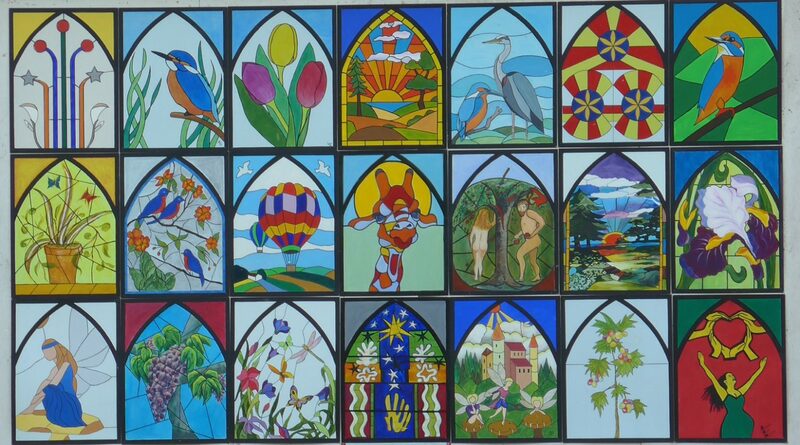 You can visit Pauline’s website by clicking on her name above, where you can see more of her work.